For Logentries, you can now use token-based logging. 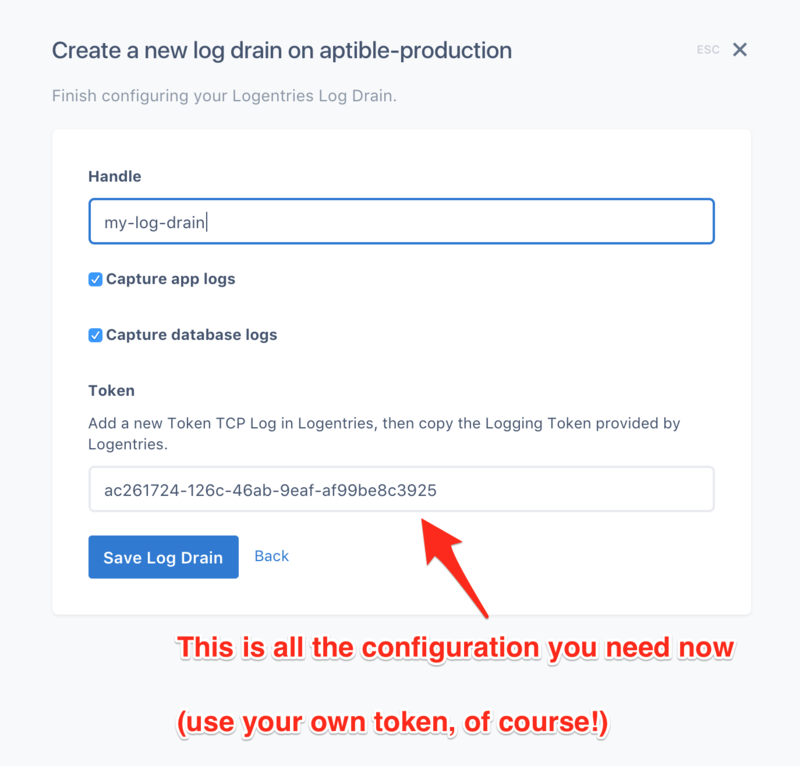 This makes configuration much, much easier than before: create a new Token TCP Log in Logentries then copy the Logging Token you’re provided with in Aptible, and you’re done! For Sumo Logic, we now support full HTTPS URLs. 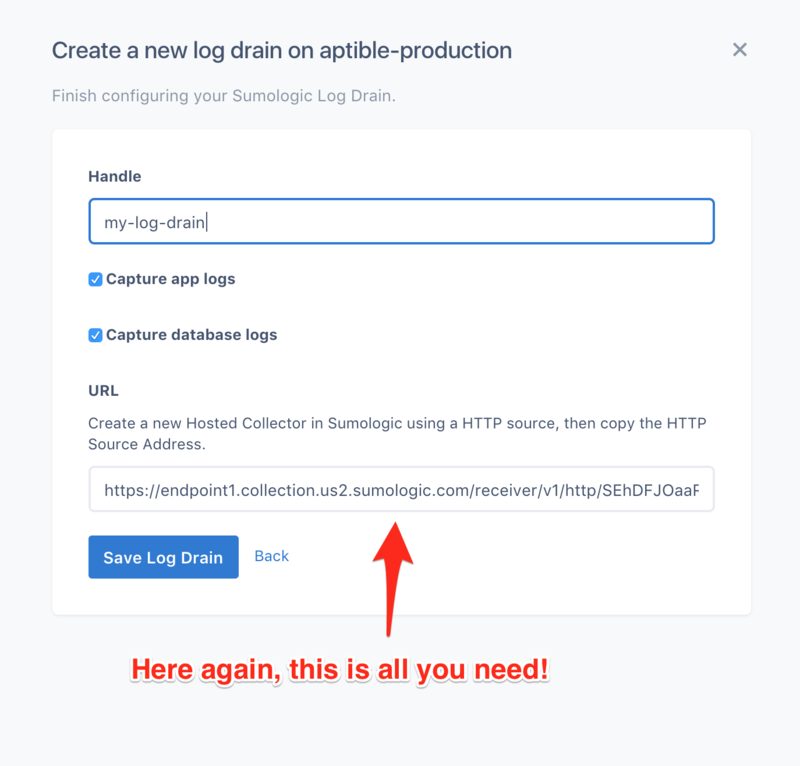 Here again, this means setup is greatly simplified: all you need to do is create a new Hosted HTTP Collector in Sumo Logic, then copy the URL you’re provided with in Aptible. Enjoy! As usual, if you have any questions or feedback, feel free to contact us.